Home/Fifteen Trees, Tree Plantings, Tree Plantings in Western Australia/Waterman’s Bay, W.A. 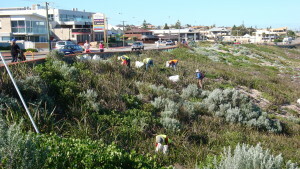 In this tiny section of the coastline of WA, 200 trees have been planted with thanks to the support of builder John Kelly from G.J. Gardner Homes Metro-East. 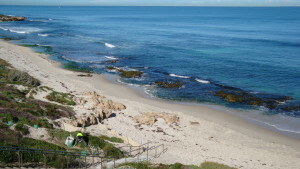 While the coastal reserve is very narrow and rocky it was in great need of re-vegetation. Working day at the reserve. Kate Sputore from the NRM in Perth, along with the National Area Management & Services of Whiteman Park organised the planting of the trees with a host of volunteers. Thank you John for your contribution to our native environment.